Wants it to replace Resi as biggest series. Japanese game company Capcom hopes Dead Rising will replace the iconic Resident Evil series as its number one franchise. It's setting the bar high for sequel Dead Rising 2, due out on PlayStation 3, PC and Xbox 360 later this month. "The goal for Dead Rising 2 is to replace the Resident Evil franchise and become number one IP within Capcom," Capcom's head of global research and development Keiji Inafune told Eurogamer this morning. Dead Rising 2 is the follow-up to Xbox 360 exclusive Dead Rising, which shipped over one million copies worldwide as of 31st December 2006. It was also a damn fine game: Eurogamer gave it an 8/10. Topping Resident Evil, however, will be no mean feat. Capcom's sold 44 million Resident Evil games, spread across 63 titles, over the years. The last game in the zombie shoot-em-up series, Resident Evil 5, sold nearly five million units. Inafune, though, is bullish. "As a creator, the sales and marketing part aside, unless you have a big goal to strive for you can't create a good game," he said. 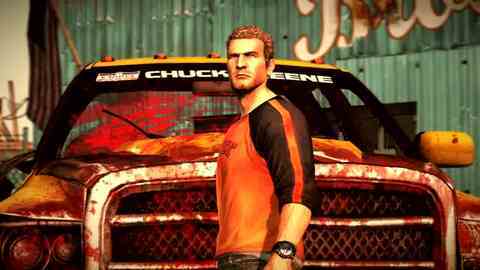 And Dead Rising looks set to continue beyond the release of Dead Rising 2. Inafune revealed that Capcom will consider creating Dead Rising 3 if Dead Rising 2 sells well. "Until Dead Rising 2 sells we probably can't start talking about spin-offs," Inafune said. "If it's received pretty well, yes we would consider a sequel. But at the moment we just don't know." Check out our Dead Rising 2 hands-on preview to see what all the fuss is about. A video showcasing the first 15 minutes of downloadable prequel Case Zero, out now on Xbox 360, is below. Import review: The dead walk (and wear horsey masks).